Does the same thing work with weather radar? If a TV station or NWS radar is in the area spinning a jigawatt wxr transceiver, and i point my dish at the storm, shouldnt i be able to receive some of the return from their transmitter? They have already done the hard work of illuminating the storm, it should be much easier to catch the returns with a small dish pointed in the right direction. 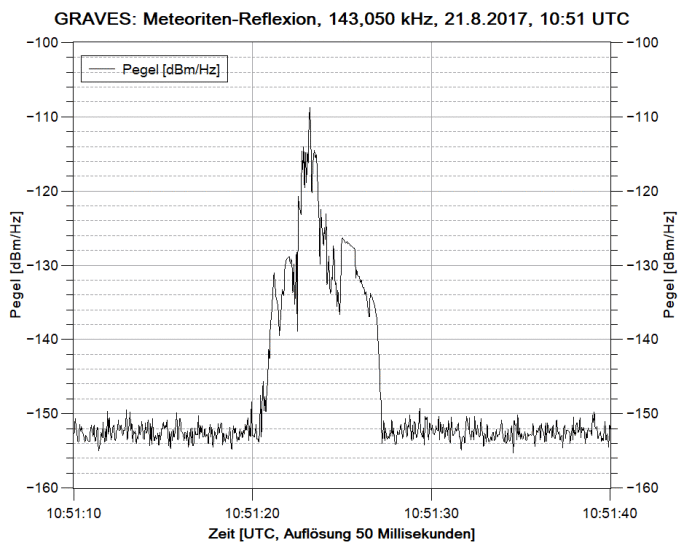 I have published some screenshots of reflections during the Perseids shower using SDRSharp and the blog’s V3 dongle.